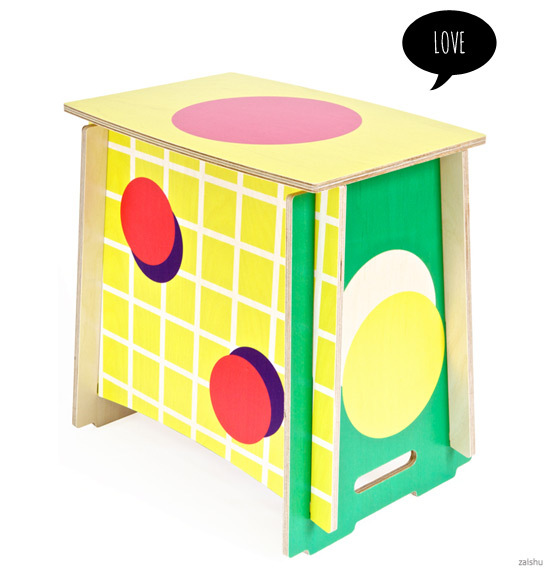 I'm busy processing orders and tallying up proceeds from the Bondville Charity Auction, but wanted to share with you this super-cute stool from Zaishu. Made from sustainable birch ply, Matthew Butler collaborates with Australian artists to create these flat-pack furniture pieces with fun designs. I've seen them used as seating and as side tables and they always draw comments. This design by Melbourne illustrators Tin and Ed is particularly cute; a great way to add art to the kid zones in your house. You can find Zaishu in the online store (and next weekend at The Big Design Market in Melbourne). Read more about Zaishu here on Bondville.